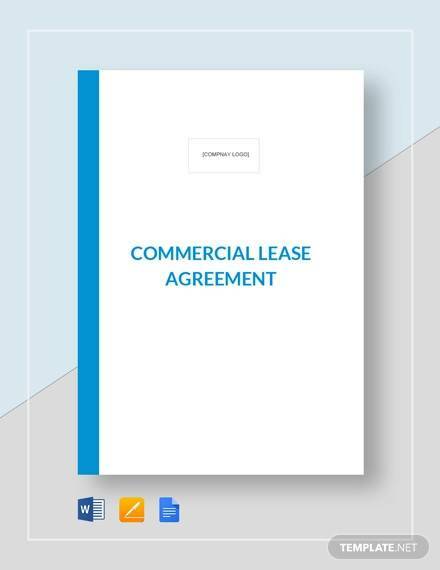 The sample commercial property lease agreements are ready formats to get lease agreements ready instantly when you are dealing with commercial property leasing. Commercial property leasing, when done, needs to be enclosed in agreements for the welfare and legal security of both lessor and the lessee. The formats you get here help really great in making a quick agreement without wasting much time. 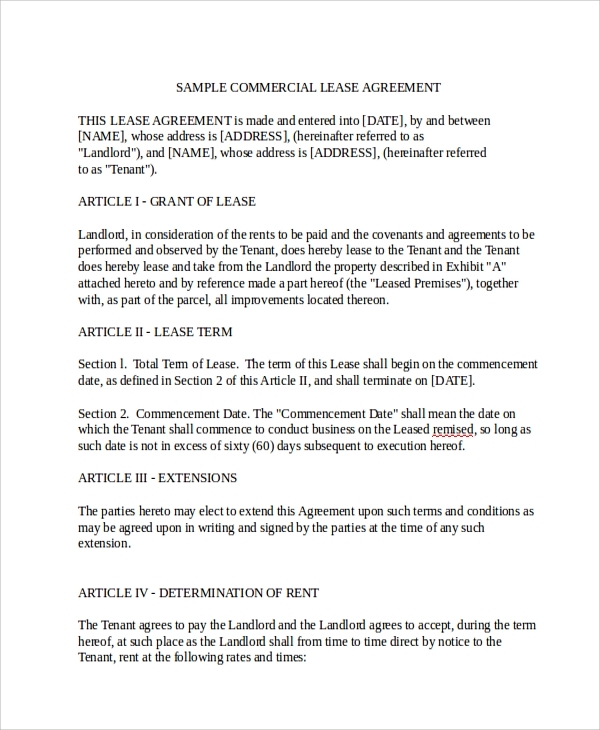 A Sample Commercial Rental Agreement may come in many formats. Here are a few formats. 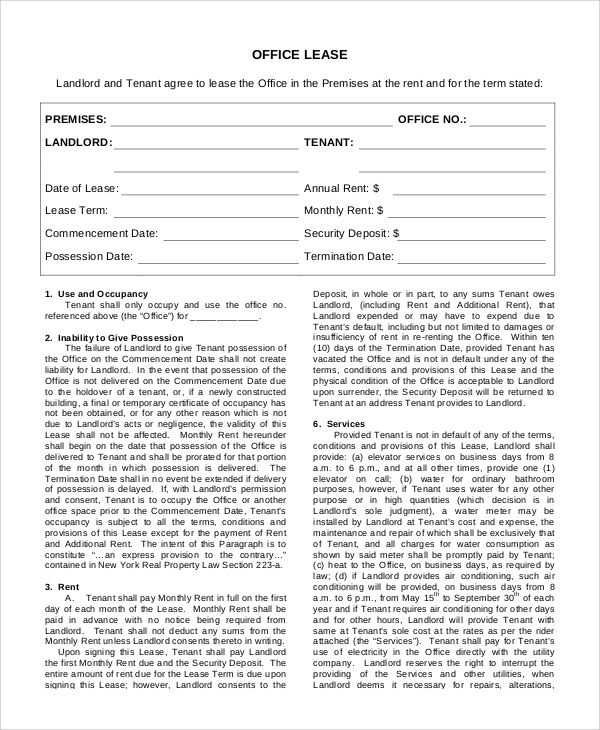 If you are leasing a commercial property, you would need a sample format of the lease agreement to refer to and understand the desired format of lease agreements. This will help you understand if you have got the required format from your lawyer or not. Sometimes, you may make an agreement on your own by seeing the formats. The commercial land lease agreements are for leasing of a land for commercial purpose. Here, the purpose mentioned, security taken, and the clause and conditions of leasing are different from those in the case of buildings. The land lease agreement samples are shared here for referring and understanding the standard formats. 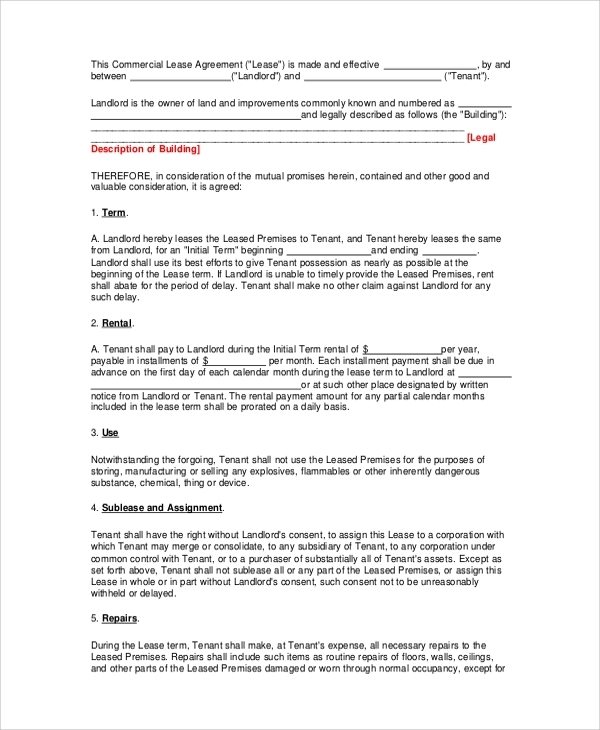 A commercial building lease agreement is what you would need when you are leasing a building for commercial use. Making of lease agreements can be a cumbersome process when you have no clue about it, or don’t know whom to refer to, or when you are not fully sure about your lawyer’s work. Hence, the samples are a great help in giving direction. 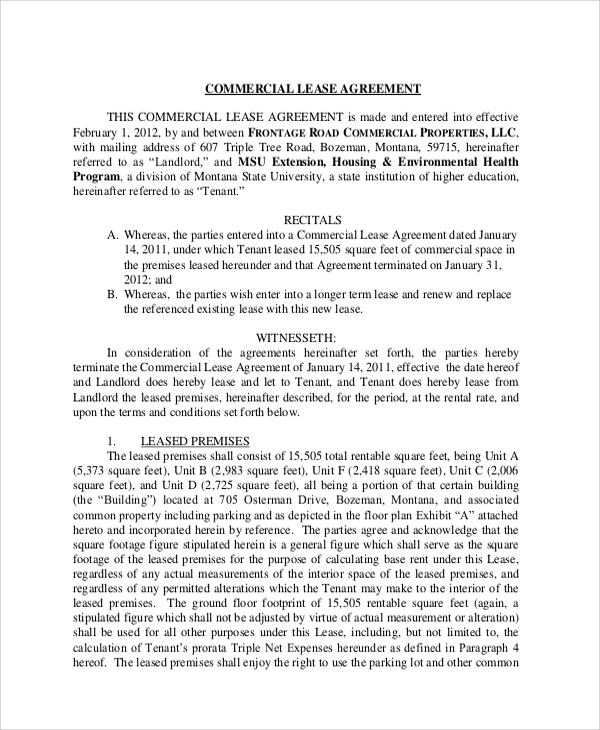 What is a sample commercial lease agreement? 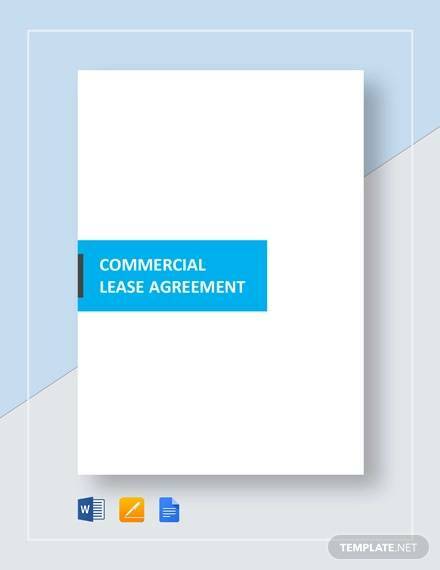 A sample commercial lease agreement is a guide which tells you the right format that a lease agreement should be made in. The exact format is legally accepted and is a global standard for all official commercial relations. It can be obtained from the samples and templates you get online. These are free to access and download and are for the help of the common man who has no idea of legal document formats. There can be several clauses in a lease agreement which you may have no idea of, but when you study the samples, you get a clear idea. 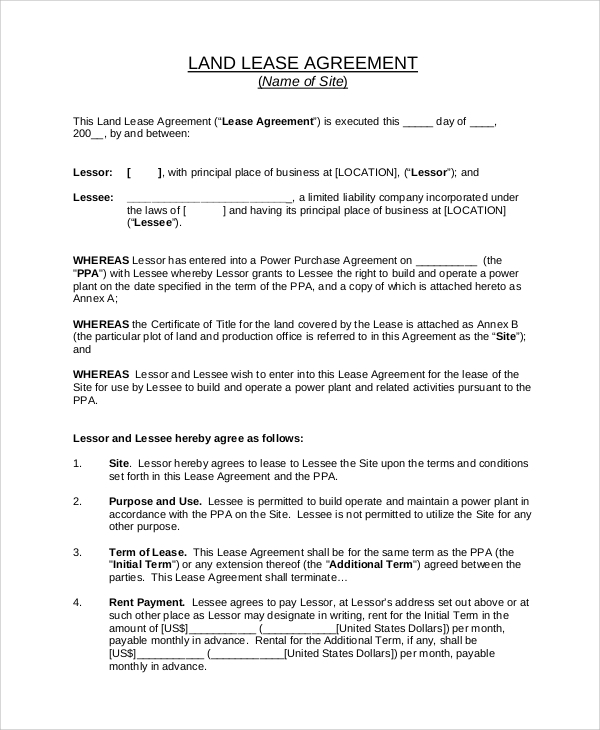 A sample commercial lease agreement is required by the party who gives its land or building or room etc for lease. 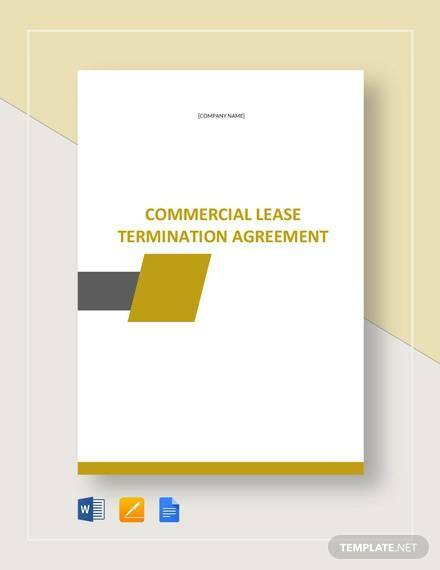 Commercial lease agreements are vital formats which you would need to make a proper lease agreement which would be legally flawless, okay in standard and official format, and would serve the purpose well. 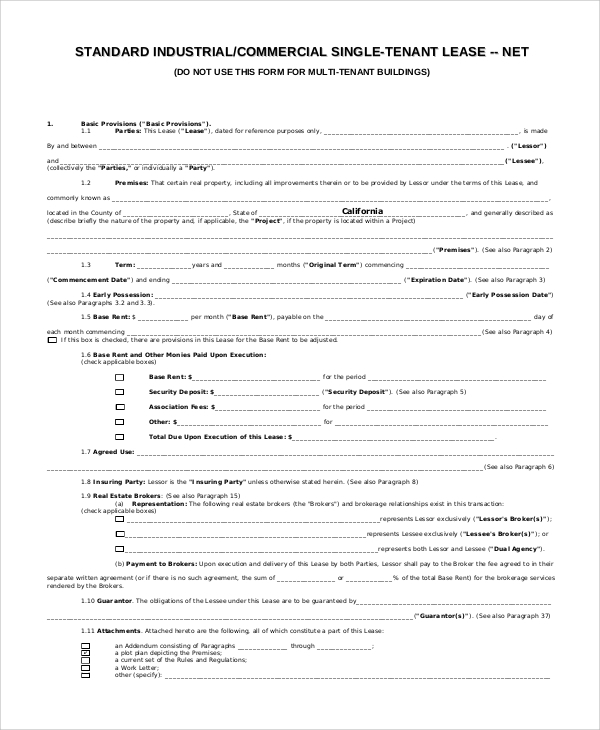 Often, you get the help of a legal officer or lawyer in making the rental agreement form. But then again, you may not be sure that if their work is standard and flawless. When you get a sample to refer to, you can study and compare it to be sure. You may also use important points and patterns from the sample to implement on your agreement. 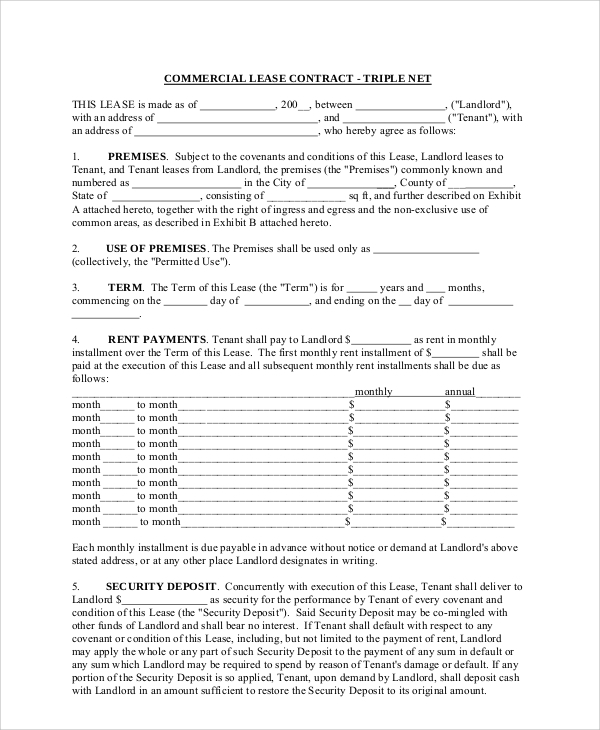 Benefits of using a commercial lease agreement sample are many. You always get a ready reference to compare and know whether your lawyer did the best job or not. There are many such clause ideas which you may get from the sample to implement on your agreement. You may also try customizing some part of a Sample Commercial Office Lease Agreements. 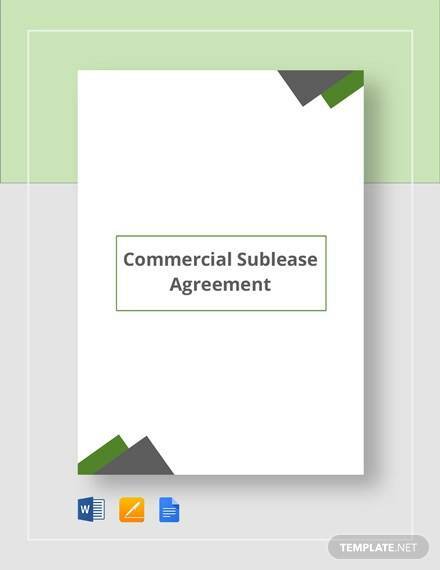 The best facility you get from the samples shared online is that you get a ready format, a reference, a directory of ideas, and a total guide on the making and checking of a commercial lease agreement. 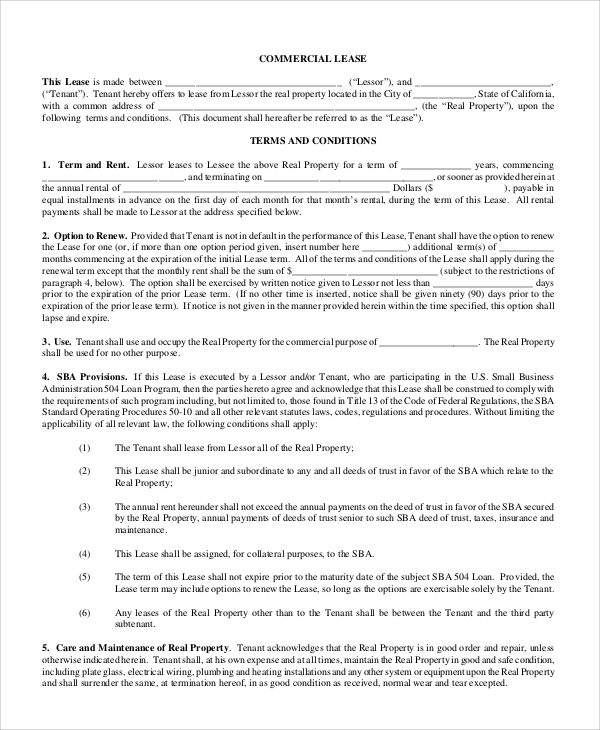 This is a great help and you always have access to some reference from the lease contracts and Sample Commercial Purchase Agreement which you may download free from the template resources.